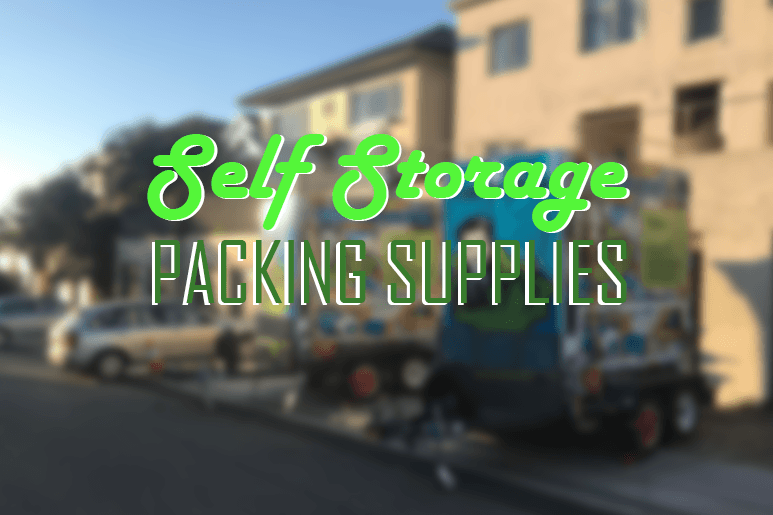 What are the self storage packing supplies that we need? Well, that’s a question that we always ask every time we think about storing. Isn’t it? Especially, if you never tried storing and packing before. You can’t simply disregard the importance of getting the right materials for packing. For example, when packing large items you need the right materials to get the job done properly. Stuff such as furniture, picture frames and other huge items. Especially, if you are only doing short time storage for a warehouse relocation. Bigger stuff needs careful packing. That should be straightforward enough. That’s why you need to have a guide to self storage packing supplies for your valuable possessions. The guide to self storage packing supplies will help you a lot in estimating how much you need in storing your belongings. As well as determining on what kind of supplies you need based on what type of things you are storing. Convenient isn’t it? That’s why if you’re looking for self storage packing supplies. Then, we can safely say that you can find all the things that you need in Macy’s. Because we basically have a big range of supplies for all your moving and storing needs. Here’s a peek of our self storage packing supplies guide that you may need in packing your valuables and belongings. When you think about moving or storing, it is necessary to find quality boxes needed to store your belongings. Because the stuff that you’re packing matters to you. You want to make sure that they are undamaged by the time you want to get it back from the storage. In order to do that, you have to purchase the right boxes for every specific stuff you want to store. So, here are some of the different kinds of boxes you can find in Macy’s Mobile online shop. Book Wine Box – This box is used to pack non-breakable items like books, games and toys. For wine bottles, you have to wrap it in paper or bubble and put it in the box in an upright position. Also, for the ultimate wine protection, use with polystyrene wine insert. Archive Carton – This box is a strong storage and archive box. It is easy to assemble with no tape required. It has a double thickness base so it is capable of handling heavy items. And, it is designed for reliable stacking with carrying handles and hinged lid. Tea Chest Box – This box is used to pack non-breakable items and toys. It’s a single layer cardboard wall that is ideal for clothing, linens and toys. Picture Carton – This box is ideal for pictures, mirrors and paintings. It is a very durable single layer cardboard with a label as fragile item box. Porta Robe – You can use this box if you don’t want to fold your clothes inside it. Just hang your clothes on the steel Porta Robe. If you want to save money and purchase all in one packing materials. It is a good bargain to purchase box kits. Box kit is the combination of the things you need to store your belongings. Such as boxes, paper, pen, knife, cover and tapes. Moreover, you can choose what kind of box kit you want depending on how many belongings you want to store. Below are the different kinds of box kit you can find in Macy’s. Studio Kit – This kit is great if you want to store your stuff in your 1 small bedroom unit. It has 15 Tea Chest Box, 20 Book Wine Box, 2 Porta Robes, 2 Picture Carton, 4 Tapes, 1 Packing Paper, 1 Bubble Wrap, 1 Packing knife, 1 Marking Pen and 1 Queen Mattress Cover. Small Moving Kit – This Kit is great for 1 – 2-bedroom unit. It has 25 Tea Chest Box, 30 Book Wine Box, 3 Porta Robes, 3 Picture Cartons, 4 Tapes, 2 Packing Paper, 1 Bubble Wrap, 1 Packing Knife, 1 Marking Pen and 2 Queen Mattress Cover. Medium Moving Kit – This kit is good for 3-4-bedroom unit. It has 40 Tea Chest Box, 35 Book Wine Box, 4 Porta Robes, 4 Picture Cartons, 5 Tapes, 3 Packing Paper, 2 Bubble Wrap, 1 Packing Knife, 1 Marking Pen and 3 Queen Mattress Cover. Large Moving Kit – This kit is perfect for 4-5-bedroom unit. It has 60 Tea Chest Box, 45 Book Wine Box, 6 Porta Robes, 5 Picture Cartons, 8 Tapes, 4 Packing Paper, 3 Bubble Wrap, 1 Packing Knife, 1 Marking Pen and 5 Queen Mattress Cover. You’re maybe thinking that boxes are all you need to pack your things into the storage. Unfortunately, no. You will also need packing materials to make sure that your things are ready for storing. Here are the materials you may need to pack your belongings. Marking Pen – Used to label your boxes. Knife – Used to cut various materials. Tape – Used to close the boxes and Plastic Covers. Paper – Used to wrap any items before packing to fill the space in the boxes. Bubble Wrap – Provides protective shield for precious and fragile items during storing and moving. Pad Lock Twin Pack – Used to lock the storage module. Plastic covers are used to protect your valuables while they are in the storage. it protects your things from moulds and mildew. Ergo, it is necessary to purchase plastic covers if you want your things to be protected. There are different kinds of cover for a different kind of furniture you want to cover. And you can find all of it here in Macy’s. Single Mattress Cover – Used to cover a single mattress to protect it from dust and dirt during storage and moving. Dining Chair Cover – Used to place over a dining chair to protect it from dust and dirt. Queen Mattress Cover – Used to cover a queen mattress to protect it from dust and dirt. King Mattress Cover – Used to place over a king Mattress to protect it from dust and dirt. Three Seater Couch Cover – To be placed on a 3 seater couch to protect it from dust and dirt. Lounge Chair Cover – Used to place over a lounge chair to protect during moving and storage. We showed you the self storage packing supplies that you may need for storing your valuables and belongings. Choose and purchase only the right supply based on the things that you’re going to pack and store. For more inquiries. Visit our website at macysmobileselfstorage.com.au or call us at 1300 40 90 69. This entry was posted in Packing and tagged packing supplies, self storage, self storage facility, self storage units.